Watch Aamir Khan on Intolerance & Delinking Terrorism. 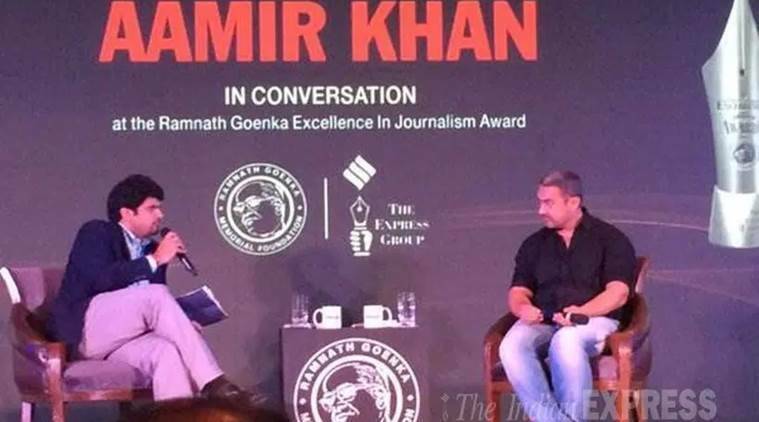 Yesterday, In conversation with Anant Goenka, Wholetime Director & Head — New Media, The Indian Express, at the eighth edition of the Ramnath Goenka Excellence in Journalism Awards, Khan said a sense of “insecurity” and “fear” had seeped deep within society, even in his family. Trolls and Mems are also going Viral on Aamir Khan’s unexpected statement. What you say about this Aamir Khan’s Statement. Feel Free to Comment down in the comment box. You comments will be appreciated. Aamir Khan is the brand Ambassador of various brands like Snapdeal etc. and due to this people have started deleting Snapdeal apps and have started giving 1 start ratings in Play store. If this goes viral like this, Snapdeal will be in a big trouble.